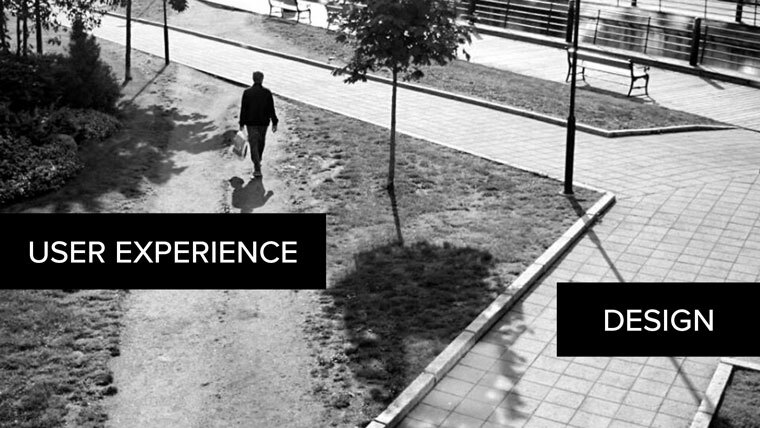 Let’s explore the most important fundamentals of designing an engaging experience that creates impact. We as designers often tend to dive right into visual design, without fully understanding a project. I’ve certainly be guilty of this and most likely you too on one occasion or another. We are visual creatures, we get excited about design. That’s totally natural. But first we need to understand the client’s goals, the audience we’re designing for, and the actual content, and how it all inter-relates. We need to build a solid foundation, but we can’t do that, if there are too many unknowns. So ask a million questions, and don’t be afraid to question the obvious answers. 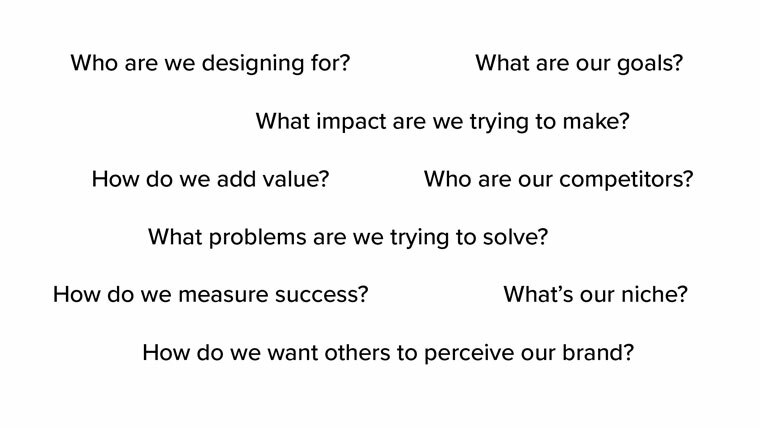 Who are we designing for? What impact are we trying to make? What problems are we trying to solve? And I’m using the word “we” a lot here, because as designers, we need to put ourselves into our client’s shoes. Their audience becomes our audience, their goals become our goals, while we still keep a birds-eye-view to see all pieces of the puzzle and how it forms the full picture. Think of it as a first date. You meet the other person for the first time and you get to know each other. So you have a conversation, right?! You ask questions and of course you listen. During the discovery phase we get to know our clients and project at hand. If we remove design from the equation, we foster better conversations without distractions. Clients, in my experience, often tend to focus on what a finished website looks like. It’s our job to focus them on what’s important in each stage of the project cycle. When we truly understand the goal and who we’re designing for, we can create a simple and targeted solution, but only then. If the goals are not clear, or we’re trying to cater to too many audiences, we will water down our message. That’s when we’re not actually reaching anyone at all. It creates confusion and turns people away. So don’t overcomplicate things. Keep it simple. So we’re still on our first date and we have a good idea about who the other person is and what they like. If we want the date to go well we keep the conversation flowing. Similarly on our website, we want to attract the right people and keep them interested and engaged. To do so, we want to guide their attention and make sure they find what they are looking for. I’m using the word “guide” a bit loose here. What I really mean is, we want to create an intuitive experience by providing clear and helpful user paths. We need to listen to our users and observe them. Analytics will help us track user paths and adjust if needed. We create truly natural user paths, when we let people explore content and then allow them to dive deeper into it, contextually. We don’t want to force them to explore content only through the main navigation. You should provide different levels of content depth. Start with a teaser and CTAs to learn more. But always remember not everyone is coming in through the front door. Cross-linking to related content on other pages. If our design is complicated and hard to navigate, it’s not the user’s fault! If people get frustrated they leave. We want to design a website that is logical and easy to interact with. So let’s guide them. To be truly impactful, give your audience the feeling that you know them and that you care. That you feel their pain and can solve their problems. Relate to them. Empathize. That’s the true magic of connecting to people. 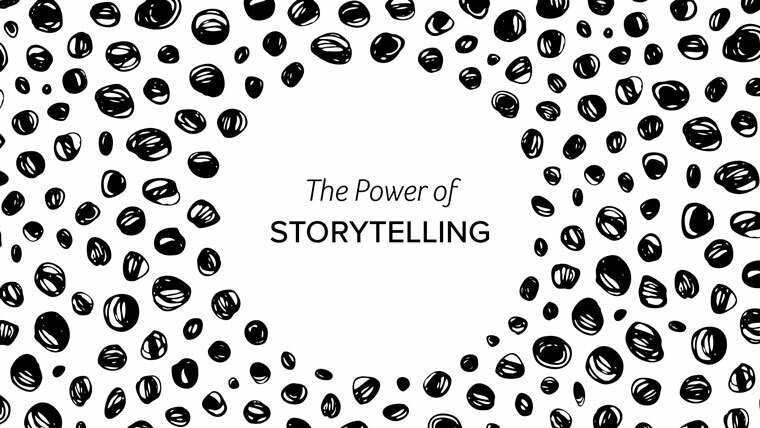 We can use a simple tool to do this: the power of storytelling. Storytelling has been used by every culture throughout the history of mankind as a tool to entertain, educate, and share information. Stories evoke emotions. We tend to relate to the characters in a story. We cheer them on and we want them to succeed. We can use storytelling to connect to our audience, just like we do when we’re dating. That’s how we get to know people, we share stories about ourselves and with that we build trust. The copy on our website should tell our story, we should be human and approachable – this will help us build trust. Case studies for example can be a great opportunities for storytelling. What language, tone, and mood is appropriate to share our story in? Think about a law firm creating a website targeting people who seek legal help. They can’t communicate in legal speak, no one understands that. Their main language and mood evolves around building trust, taking people’s fear and concerns away, ensuring that they can help them in their most impossible situations. This will guide the mood and the language used. And it’s different for every single project. When you are able to truly relate to your tribe you create a connection, you build trust, and you develop a lasting relationship with them. Yes, visual design is important and it can create and enhance a well-rounded user experience, but only with a solid foundation. For your next project, I’d like to invite you to forget color exists. Focus on people first, not the design. Understand your audience, guide them intuitively, and most of all relate to them. That’s how you can truly leave a mark and make an impact in people’s lives. “Designing without Color” was one of three flash talks during WordCamp US 2016 under the session title of “Color Theory and the Fundamentals of Design” – A series of flash talks with Hugo Baeta, Beth Soderberg, and Sonja Leix. You can find my slides on SpeakerDeck and some Resources for UX Design and Storytelling.